As technology advances, scientists and medical professionals are finding that chronic inflammation is the root cause of many health conditions prevalent today. Questions arise then as to what is causing chronic inflammation and how to reverse it. Below you will find answers to questions concerning the causes and treatments of inflammation. Inflammation itself is not a bad thing. The body is actually designed to produce inflammation to heal. In doing so the body increases the blood flow to an injured area and sends white blood cells to the area to heal it. Consider the swelling that takes place with a broken bone or an injury to a muscle or joint. These processes are a natural part of healing. Unfortunately in our society today, and especially in the United States, the incidences of chronic inflammation have skyrocketed. Chronic inflammation happens when the body is continually trying to repair damage done to the mitochondria. It also occurs as an autoimmune disorder where the body attacks itself rather than something that is an actual threat. As the body continually fights to repair damage to the mitochondria, symptoms of chronic inflammation begin to appear. Inflammation is at the root of most chronic degenerative diseases like cancer, heart disease, diabetes, arthritis, high blood pressure, fibromyalgia, asthma, bowel diseases and many others. In some cases symptoms are mild or do not become significant until you are finally manifesting a named disease. If you think you may have inflammation or a disease caused by it, we can likely help you overcome this condition. Inflammation can also show up as flu-like symptoms including fever, chills, headache, loss of appetite, and general malaise. When the body is exposed to a virus, the immune system reacts with elevated levels of white blood cells that attack the virus. This causes cold symptoms such as a sore swollen throat, increased mucus in the sinuses, sinus drainage, etc. Once the virus is eradicated the immune system is supposed to stop the immune response. When chronic inflammation is present, the effect in the body can be that the immune response continues after the threat is gone. Another effect inflammation is supposed to have in the body is to prepare us for fight or flight. When the body comes under stress, it releases inflammatory markers into the bloodstream called C-reactive proteins. Once the stress has passed, the inflammatory markers reduce and the body is supposed to return to normal. However, when the body is under chronic stress, C-reactive proteins are continually elevated in the blood, causing chronic inflammation. In effect the body does not return to normal and continues the inflammatory response. Not only does the body react to outside stress, as mentioned above it can also begin to attack itself. The body begins to see it’s own cells and even good bacteria as a threat. It can attack the lining of the gut where a major portion of the body’s immune system cells reside. It can also attack muscles and joints as seen in certain types of arthritis. Rather than trying to mask the symptoms or attack the disease, LifeWorks Wellness Center seeks to find the root cause of the inflammation and help the body heal from the mitochondrial level. In order to detect the presence of inflammation we check your bloodwork and may also run a variety of tests such as stool and urine tests. If you think you might be suffering inflammation, it's imperative to get it checked out. As we have discussed, chronic inflammation sets the stage and ultimately leads to many chronic diseases. The difficult part of inflammation is that it often times goes unnoticed until disease symptoms are present or it is brushed off as part of the aging process. 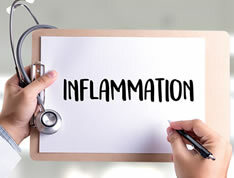 If you suspect you have an inflammatory condition, you should get checked out by a competent doctor, trained in diagnosing and treating the underlying causes of inflammation. At LifeWorks Wellness Center, we have decades of experience in treating inflammation and helping patients uncover the underlying cause of it. As you extinguish the inflammation, the body can now heal and reverse the disease process. Supported with proper nutrition and other modalities patients can recover. Think you might have inflammation? Looking for a natural health clinic that listens to you and goes beyond suppressing symptoms? Give us a call at 727-466-6789 or submit an online inquiry. We look forward to helping you regain your health and wellness so you can live the life you should be living. LifeWorks' patient, Karen tells her story of unresolved illness which she suffered from for many years and how she finally found relief when she came to see Dr. Minkoff. Watch her video testimonial. First, I am claustrophobic so I didn’t think I would handle the HOCATT very well. Second, I do not handle heat very well. Thank God for Amelia being the person that runs the HOCATT. She is so kind and gentle, loving and so much more. I came here in August of 2016 very sick with Lyme disease after 15 years of misdiagnosis. I came here alone and fearful/skeptical that I would or could be helped. My stay here at Lifeworks has been nothing but positive! My body, mind and health have been mended and I feel fantastic and have a different positive mind set moving home. 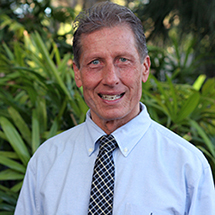 I wish to thank Dr. Minkoff and all of the staff at Lifeworks for the care and treatment I received here. Thank you for your kindness and patience with all of our situations and conditions. I had an unexpected resolution of right QL/SI joint pain after neural therapy in the belly button. ...my energy level has greatly increased and most all my food allergies are gone.